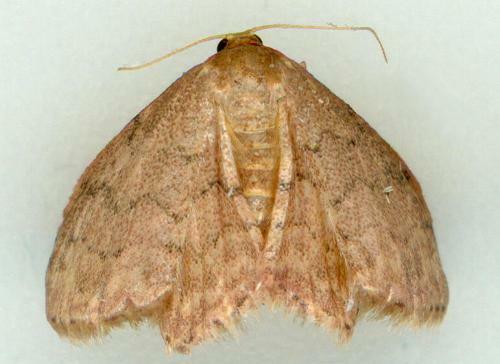 The adult moths of this species are reddish brown, with vague dark zigzag lines across each wing. The wingspan is about 2 cms. Volume 32 (1908), p. 640, No. 2.